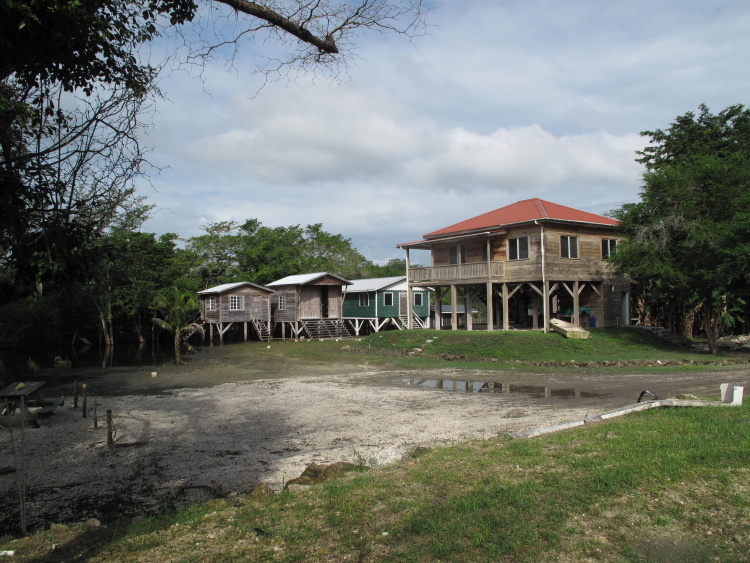 A few weeks ago, I visited the town of Orange Walk in Northern Belize for 3 nights. 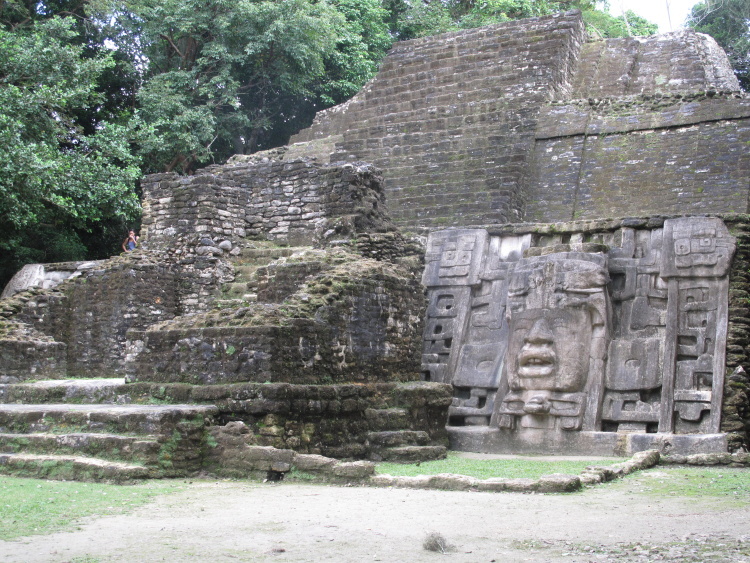 I ate the tacos, attempted a visit to the local rum factory, got a good feel for the town but there is one main reason that tourists overnight in the OW (although I think it has lots more to offer)…Lamanai. 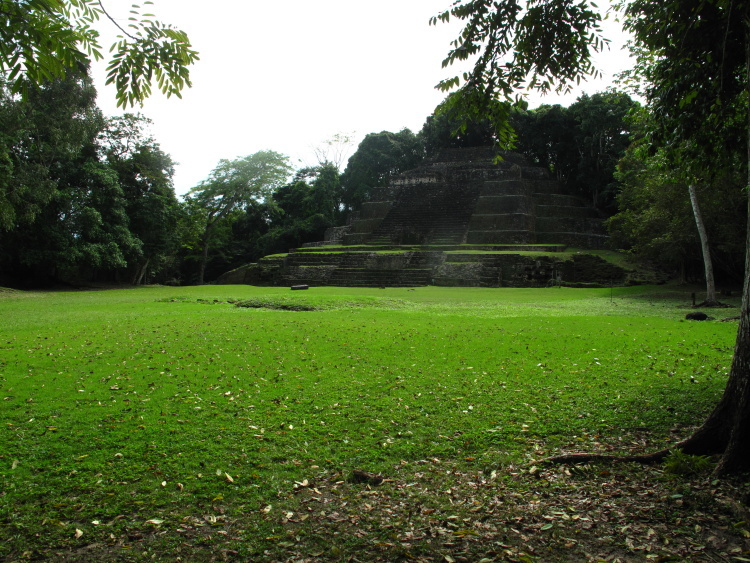 One of the most spectacular ruins in Belize and as I described in a post earlier in the year, a beautiful river tour, a visit with monkeys and lots more. 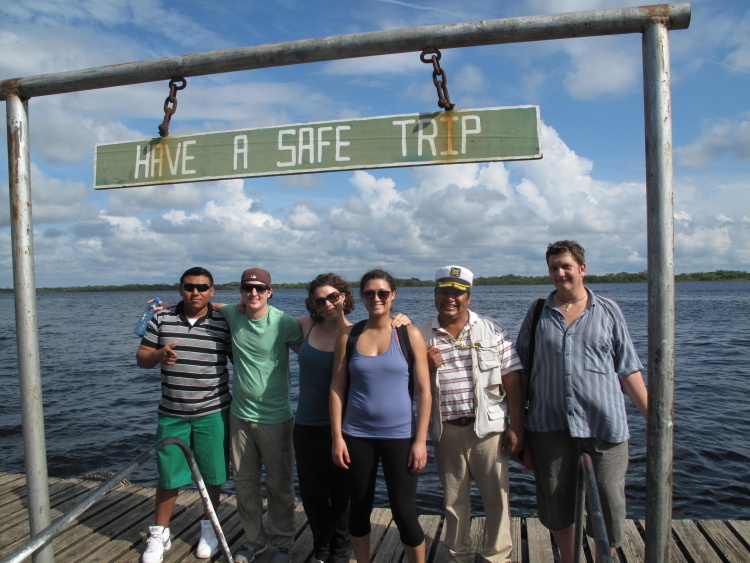 The trip from San Pedro, Ambergris Caye is a longer day and a more expensive trip. You take a 6:30am boat to the mainland, then a bus to the New River and then you get on your river tour. You can read about that in the post above (or below), here is how you do it if you spend the night in Orange Walk. My tour van arrived at the Hotel De La Fuente in down town Orange Walk at 9am. 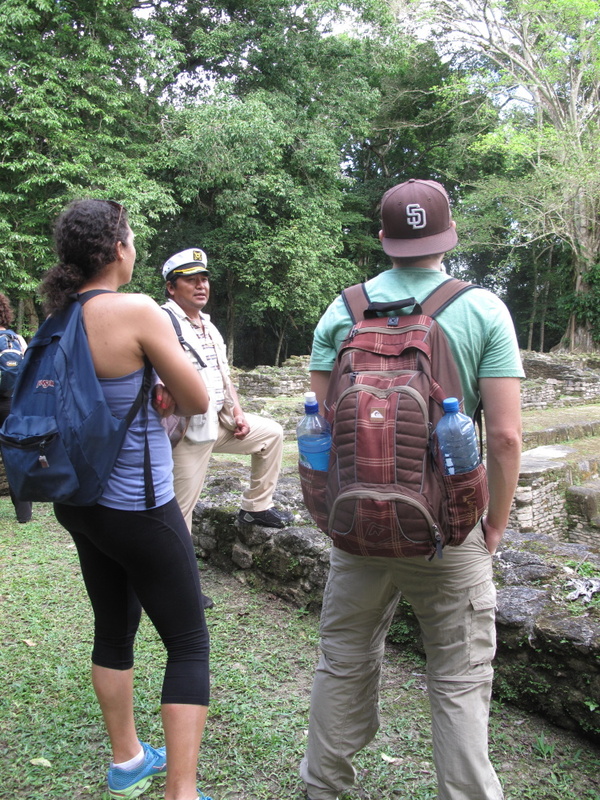 The tours to Lamanai go out every day and cost about $50US. Just a few minutes outside of town, we pulled up to the McAfee residence. Yes THAT McAfee. John McAfee, the creator of the computer anti-virus company, who fled Belize (in a way that made him look totally CUCKOO) when wanted for questioning in last year’s murder of his neighbor. 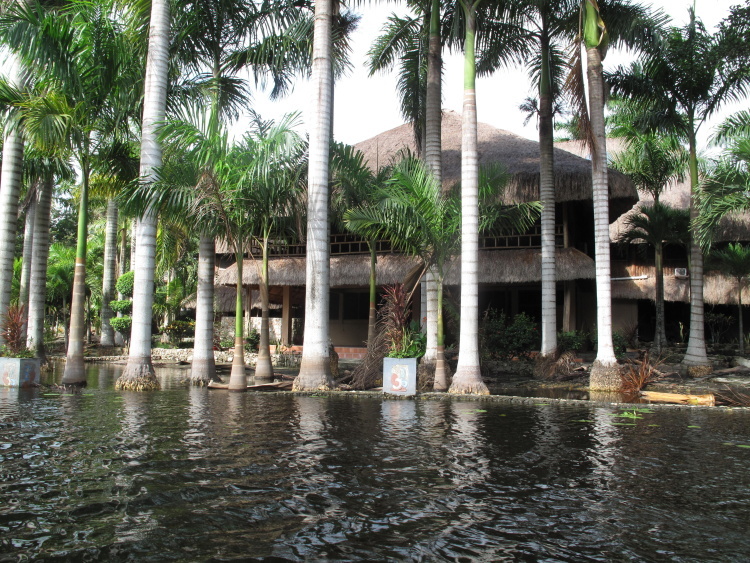 He owned a property on North Ambergris Caye and a supposed jungle compound in Orange Walk. One he allegedly used as a bath salt drug lab and harem for under aged Belizean women. Jungle compound is a bit of a stretch. The ex-residence is right on the main road in a well cleared and filled area. If it helps, I can lie to you and say that hair stood up on my arms and that the ground was littered with condoms and testosterone syringes…but really there was one waggy dog and not much else. Since there had been so much rain in November and December and this riverfront land was above water, McAfee’s dock was being used to launch our boat. And then on the other side of the river, these odd neighbors. The Old Master’s Rum Distillery. And then just down river this rehabilitation clinic housed in some old resort. I will venture a guess that the smell of rum & molasses in the air and the gawking boat loads of tourists do not help the rehab process. The water was very high and there was no one around. 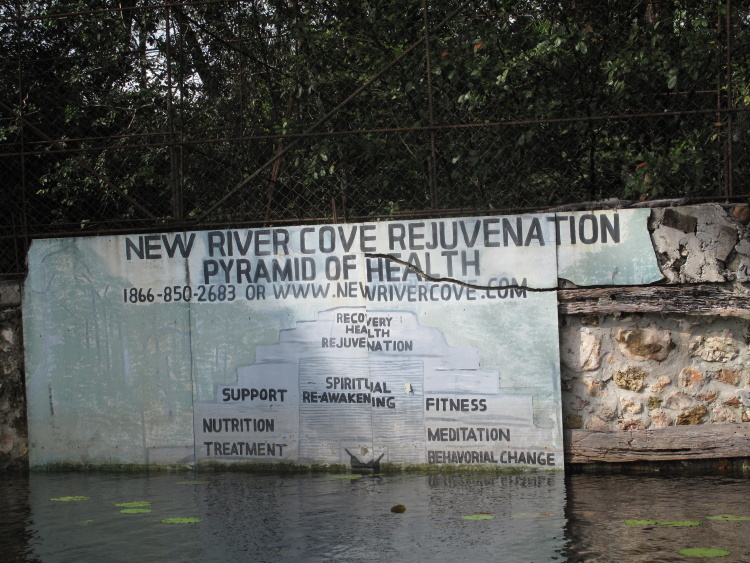 I looked at the website on the sign above…for New River Cove and it’s in Japanese. Huh. 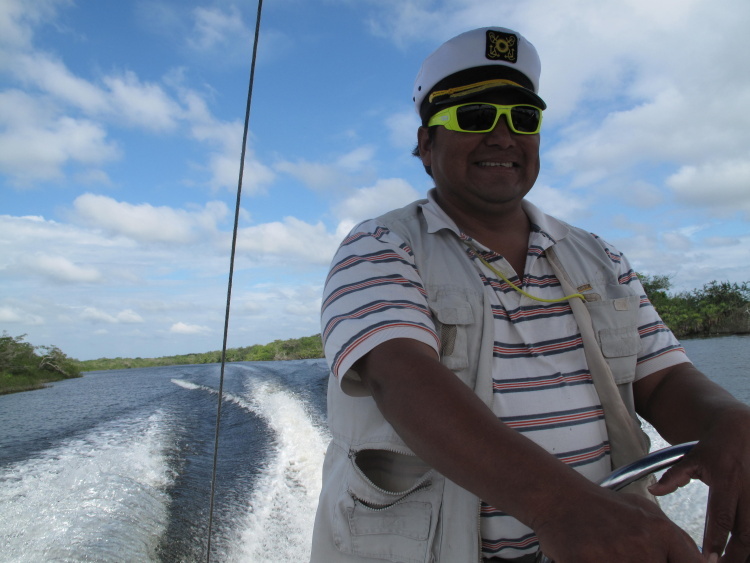 Our guide Chino took us up river. I’ve met quite a few “Chinos” in Belize all with the same story. When they were babies, they looked “Chinese” so a relative (for some reason usually the grandfather) started calling them Chino. You can’t fight the system. The boat ride is a little over an hour. We stopped at a cool bird’s nest with an extremely ugly baby egret. We stopped briefly by the large Mennonite settlement called Shipyard. Chino told us a potentially inflated story about the limited gene pool and birth “anomalies” like albino-ism. He ended it with “You know what they say: Cousin plus cousin equals a dozen” and we continued on. Usually you can see lots of crocodiles but the river is so high, that they are lurking within the trees right now. They just used it for toys rather than transportation. CONSCIOUS DECISION. 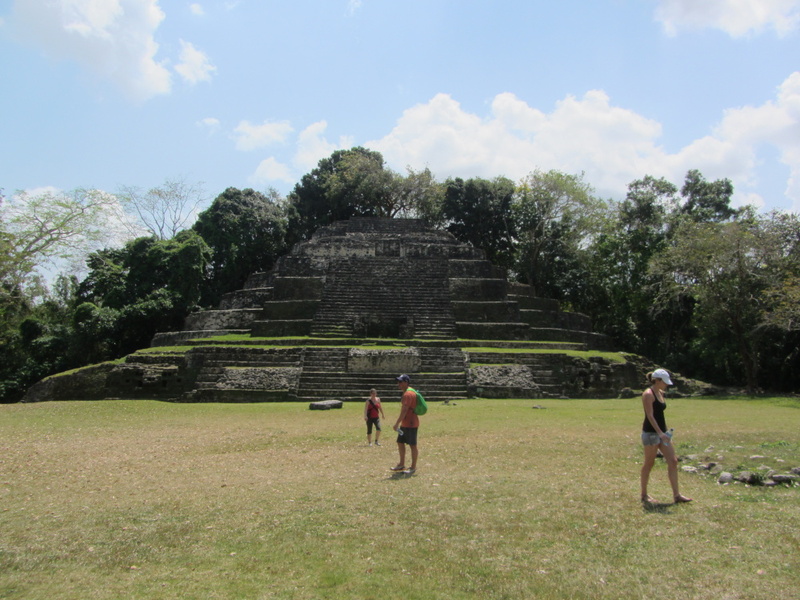 We went on to explore the temples, the ball court and the other structures. 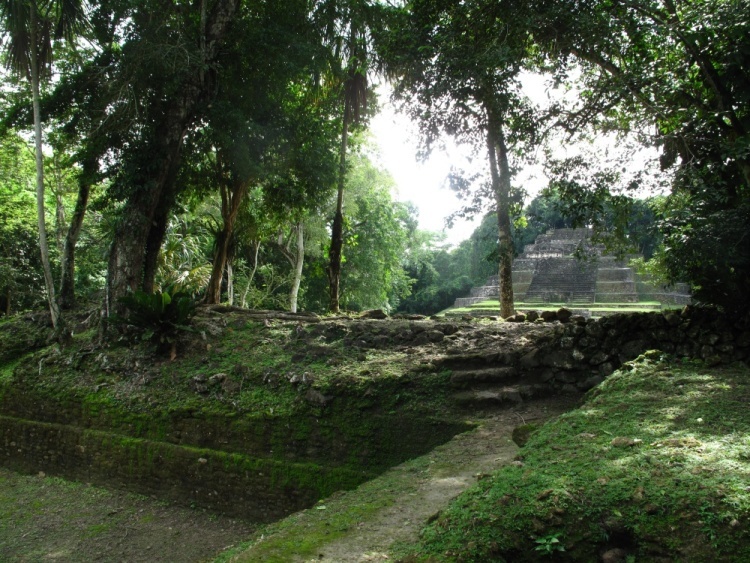 Lamanai is just incredibly beautiful. And this time of year, after the rains, it may have been at its most beautiful. 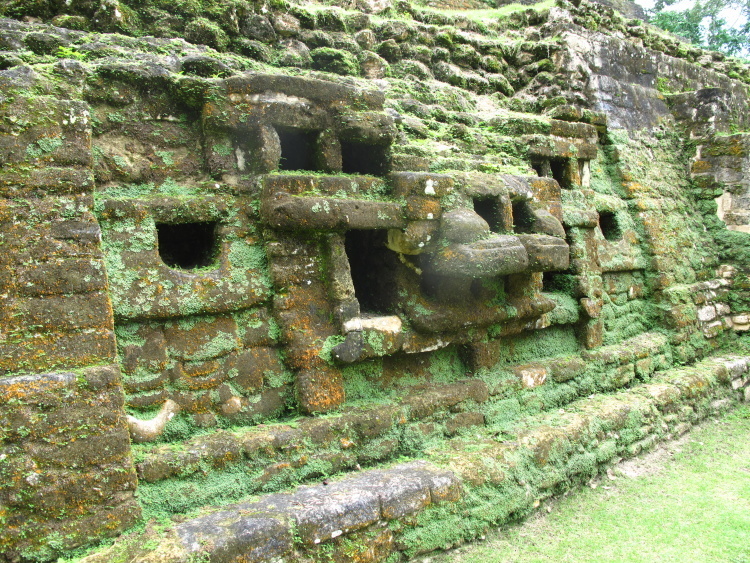 Green fuzzy moss covered parts of the first pyramid. The jaguar masks are so beautiful to me. Our group was small…only 5 people. We headed to the main structure and ran into the CRUISE SHIP people. Oh my. I’ve NEVER seen Lamanai this crowded. 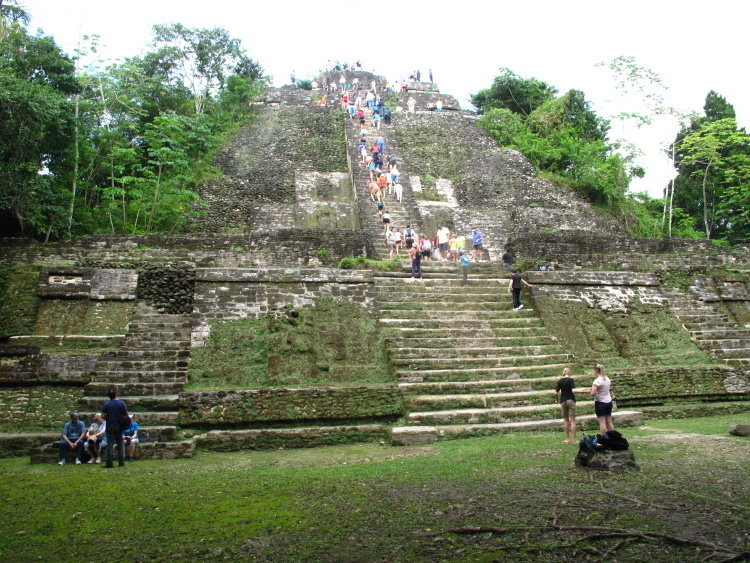 Tuesdays, Wednesday and Thursday are cruise ship days in Belize City. 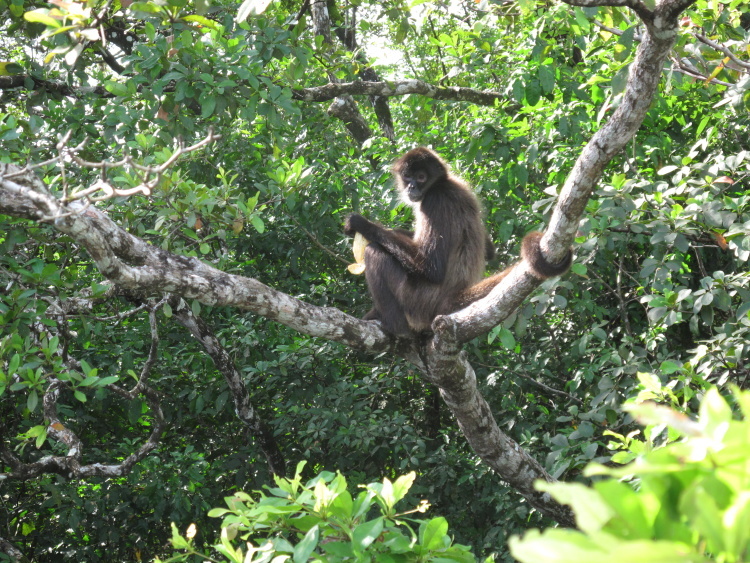 And many people (usually wearing those pants that unzip into shorts) bus and boat out to Lamanai to see a bit of Belize. 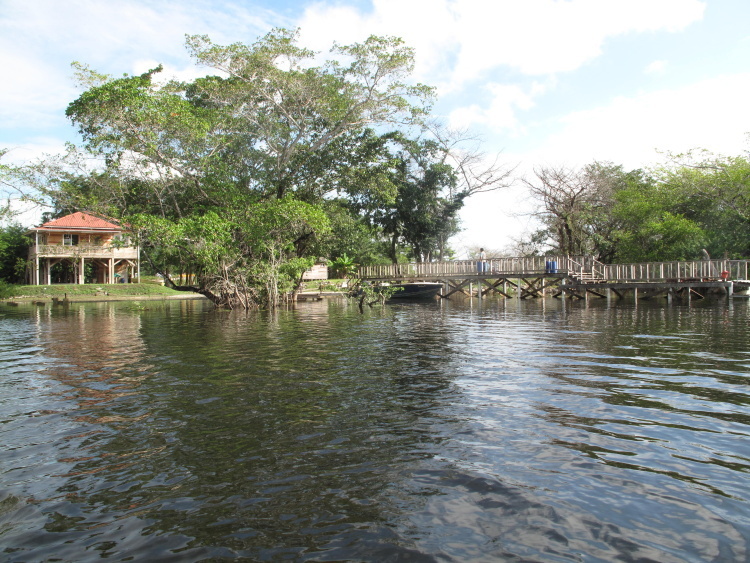 Since there had been so much rain over the past few weeks, the mainland river tubing trip had been cancelled and Lamanai was packed. Here is the same temple in March. This is the big climb and quite steep. Especially coming down. I was too much of a scardy cat to try it with this many people. I need to rope to myself! 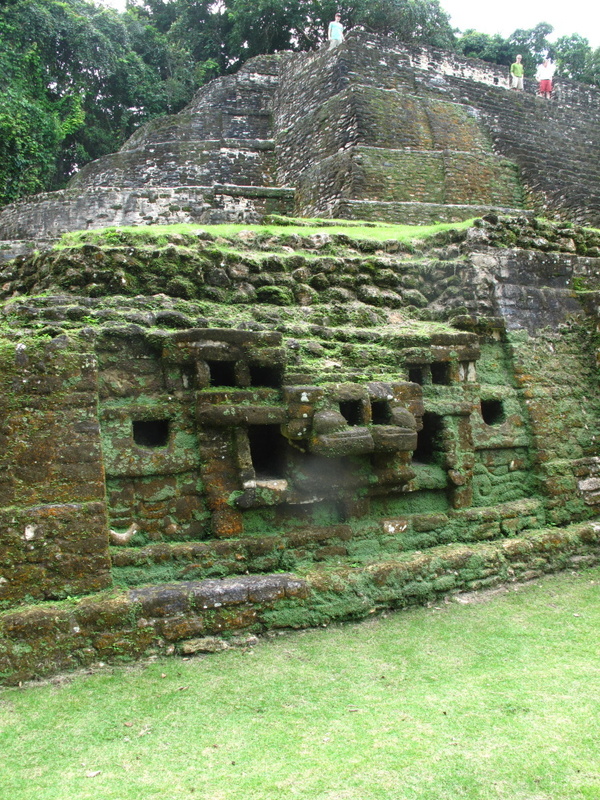 For the most part, your guides do a really good job of making sure you see the temples at the best times. This was just a day where there were too many people there. It can happen…but not that often. We went to see the masks on the smaller building. The money shot…my group from California. Always a very cool tour no matter how many people are there. We loaded back into the boat and took the river tour back. I was at my hotel by 3pm. 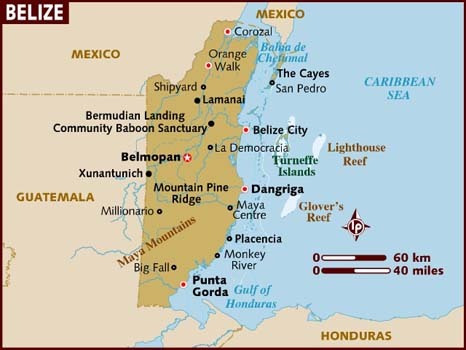 The big differences going from Orange Walk and from Ambergris Caye are the length of the trip and the cost. 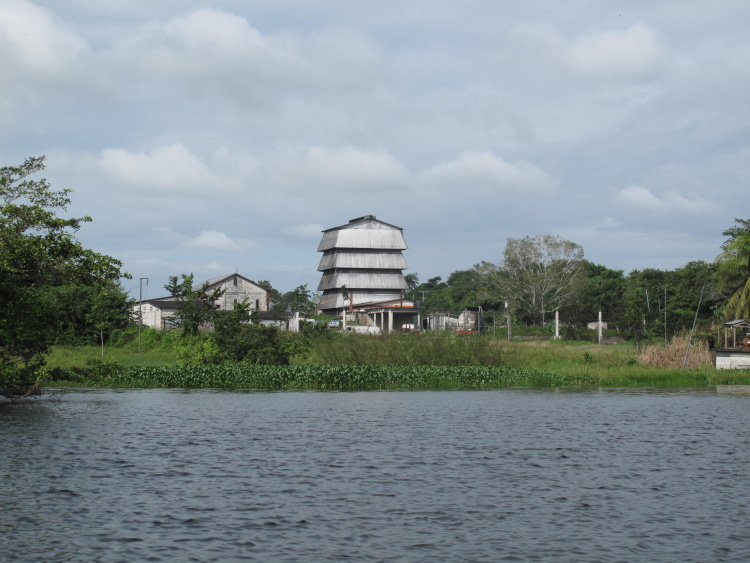 From Orange Walk, the trip is generally about $50US and the lasts from 9am to 3pm. 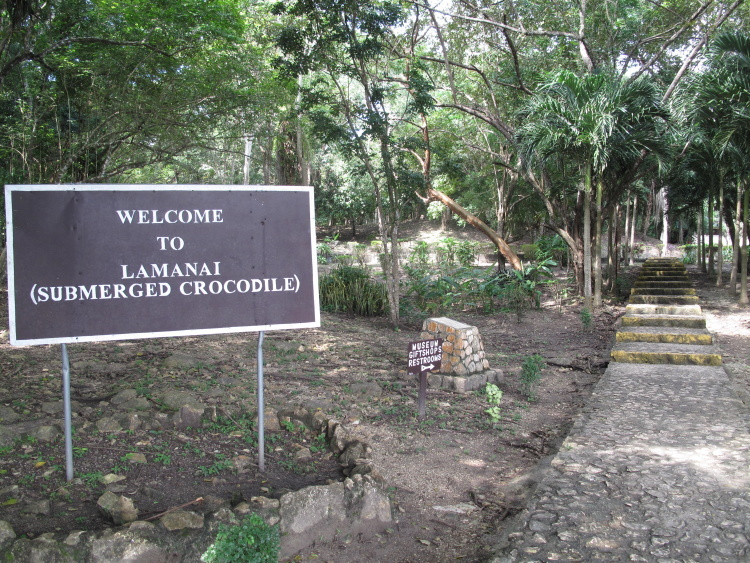 My now-husband and I went to Lamanai on a cruise ship tour, and it was definitely an experience ;-). So glad we did it then rather than waiting for our honeymoon (it’s a long trip from port in Belize City, but not as long or expensive as from San Pedro), but there were two boatloads of people from our ship alone. 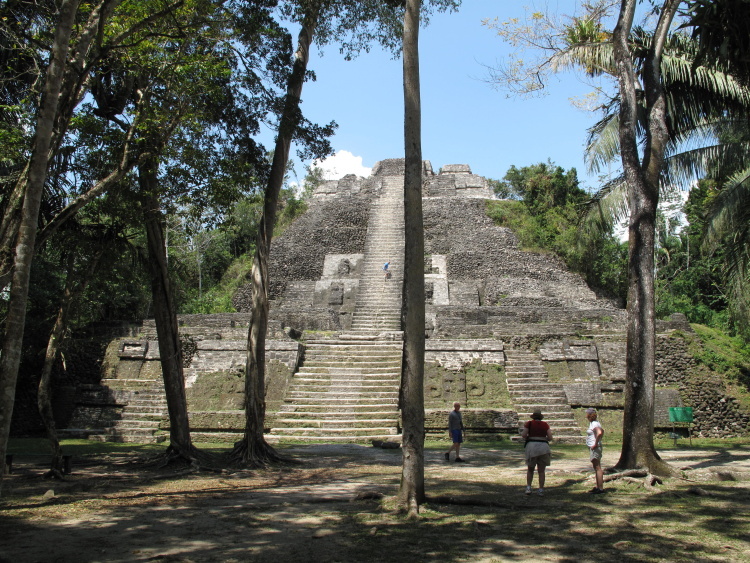 We were sort of hurried up and down the main pyramid (not the most helpful when you’re scared of heights!) and probably had an hour and a half onsite, all told (including a bathroom stop for all those people). Then our boat broke down on the way back up the river! It’s the only tour I’ve ever booked directly with the cruise line, and I was very glad we did in that case, since we got back an hour and a half after we were supposed to have been back on board. For real. Missing the boat would be a…ummmm….total DOWNER! Thanks Megan and HAPPY NEW YEAR! 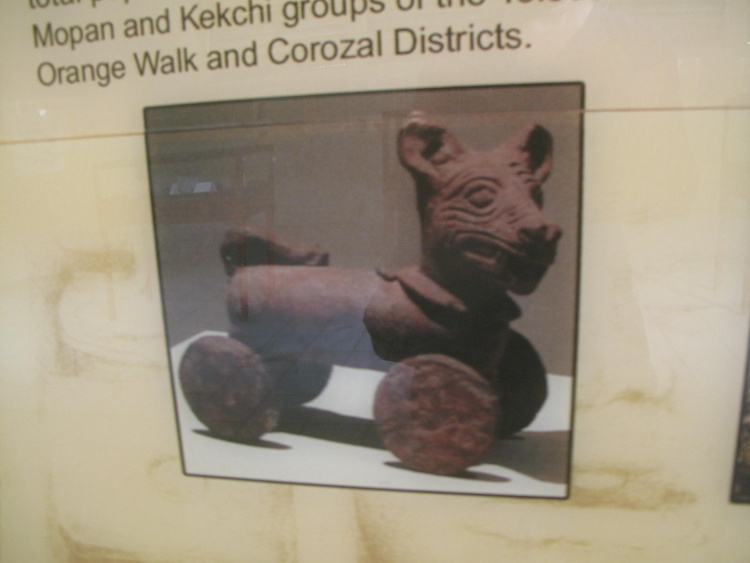 We took the trip from San Pedro (I bid on and won it in the Saga Silent auction that year from Suya Tours). It was excellent! We only had about 8 on our tour so got lots of attention, and we managed to make it to all the pyramids when the cruise ship tourists were not too thick. We climbed up all the structures and had a blast. 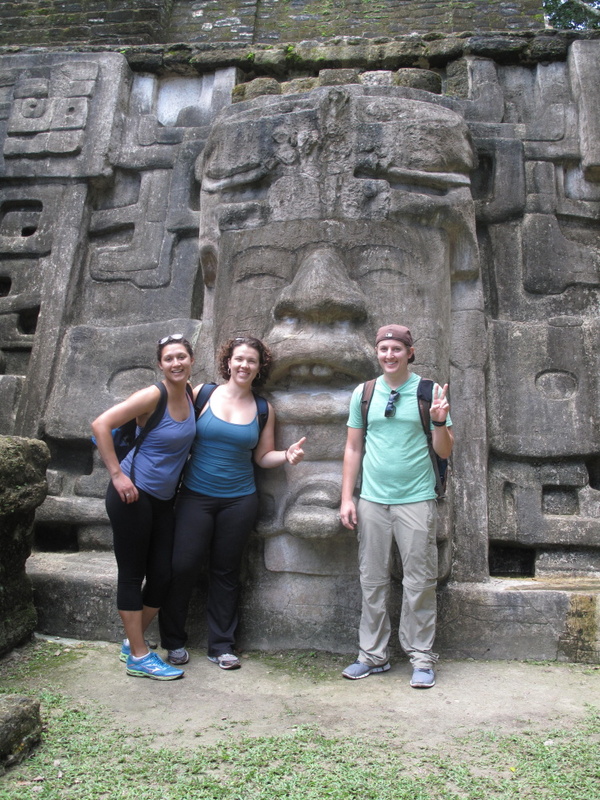 LOVE this trip — it was definitely one of the highlights of our time in Belize, and Suya Tours did a great job with it. Professional and knowledgeable guides! Oh yes, we did see you there! What a great day it was. And yes, I’d definitely go again if we were as close as you were.